Q-See’s solution to home surveillance is a real beast. The system operates over a hard-wired PoE (Power-over-Ethernet) circuit, meaning that both power and data transmission operate over the same network and can transmit to most network devices including VOIP-enabled phones, wireless AP or networked cameras. 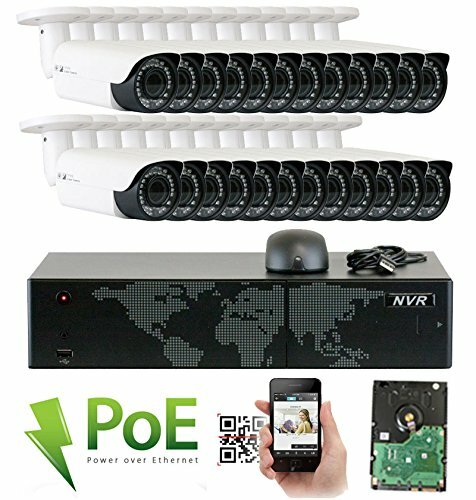 PoE technology is fairly well-developed and mature so as a result, PoE surveillance systems are consistent, if occasionally unstable. Ethernet cable is readily available and cheap, so any maintenance work to be performed on these wires shouldn’t prove too expensive. Installation is also relatively easy and inexpensive. A centralized power supply means less difficulty installing the network around the home. The system comes with four fixed bullet cameras, four fixed domes and twelve varifocal domes, so there’s plenty to go around even larger properties. While it’s not mandatory to use every camera, you should expect a fair amount of work with a comprehensive surveillance system like this one. PoE systems can be managed using the popular Simple Network Management Protocol, so you shouldn’t have too much trouble configuring or reconfiguring your setup as or when it becomes necessary. Included is a single simple four-channel PoE switch, which helps when you’re centralising control of multiple cameras to one area of the network. The system does support up to thirty-two channel and any failure in the switch will disable any cameras connected to it, so you should be wary of wiring up all of your cameras to one spot. Installation and operation of advanced PoE multi-channel ports can also be a complex undertaking, requiring knowledge of networking and some DIY skills, so the inclusion of a four-channel switch with the bundle is a useful addition. PoE power management can be a delicate process and you need to ensure that you buy quality Cat5 cable from a reliable supplier. This is an essential for maintaining the network’s integrity. Maintenance workload on PoE systems can be slightly higher than wireless or alternate wired setup but the initial expense will prove worth it in the long term. Q-See does offer lifetime technical support with their purchases, which is a boon for a maintenance-dependent system like this one. 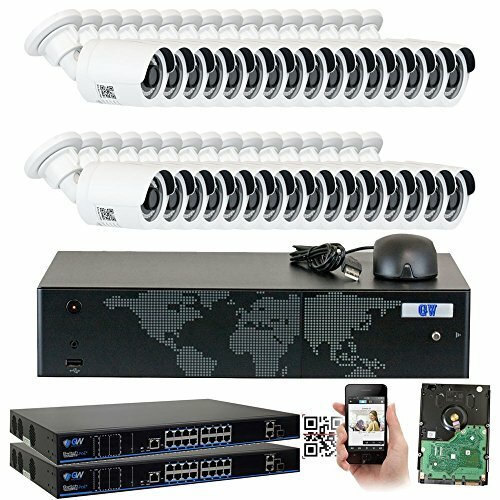 This is an IP camera setup and once the system is connected to your home network you can connect your NVR from almost any location. The system allows for up to 20 users to view the HD footage. The various permissions of each extra user can be modified individually, which lets you customise access to the system with a fair degree of specificity. Q-See have also produced a mobile app which allows users to configure their systems, change settings, set up schedules and receive alerts all on their mobile device. There are a multitude of settings which can be changed, ranging from trigger sensitivity to microphone volumes and remote viewing options. Taking your time to acquaint yourself with the proprietary system before getting too ambitious with it, will be beneficial. 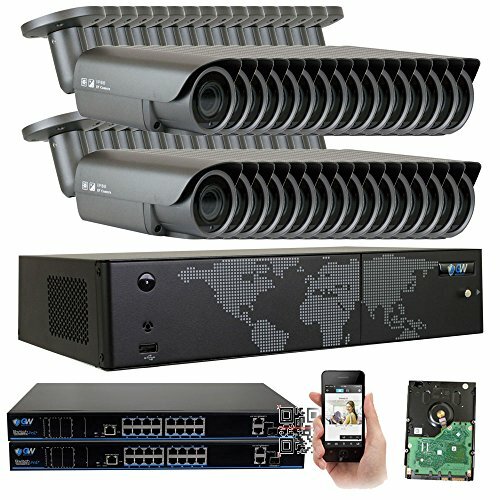 PoE systems can be run in conjunction with non-PoE systems so if you have the time and expertise to work on a system like this, you can end up with a very comprehensive surveillance solution. There’s also always the option of calling the Q-See helpline for advice and suggestions. 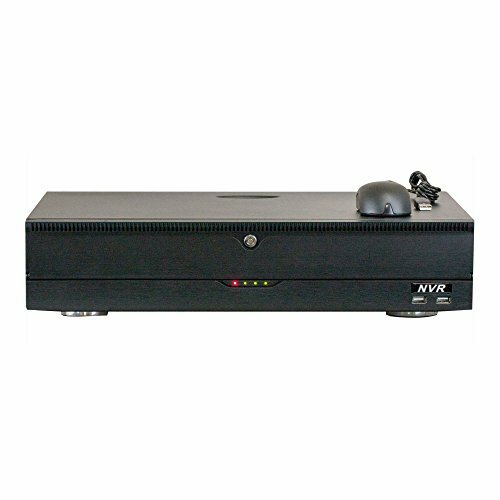 NVR setup is a relatively simple process; you simply have to provide power to the system, plug in a USB mouse and connect the NVR to a computer screen. 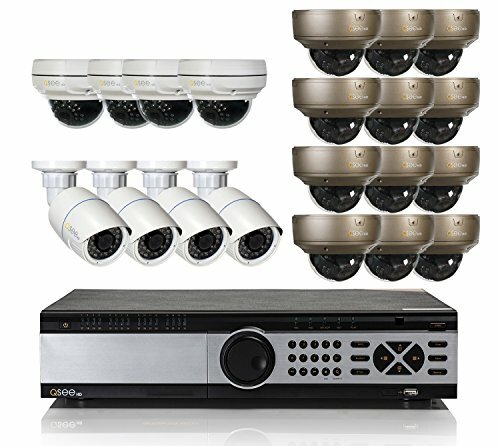 Once you’re connected, a proprietary setup wizard will guide you through the process of installing and connecting the cameras around your home. Physical setup is an intricate process and should not be taken lightly – you’ll be in trouble if you lose one of the often very small and delicate screws, so ensure you take your time and unpack everything in order. The NVR itself is well-constructed and sturdy, if something of a monster. You should allow for at least fifteen to twenty inches of clearance once cabling is fully complete as well as the twenty-two inch dimensions of the box itself. The full setup comes in at a hefty eighty-three pounds but arrives as a single unit without too much packaging. Packages also arrive sealed with a Q-See quality assurance sticker. 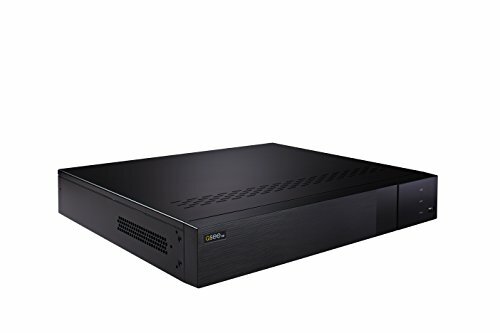 The NVR comes with a pre-installed 8TB hard drive, meaning viewers can expect to hold footage for a decent length of time, even at the maximum 1080p viewing and recording quality. The cameras themselves record four megapixel images and offer a number of advanced functions like digital noise reduction, automatic image adjustment and automatic backlighting to improve image quality wherever possible. At night, the bullet and dome cameras both offer effective night vision up to one-hundred feet. This is a wired system, so camera quality is fairly consistent and transmission isn’t subject to the occasional packet loss or signal deficiencies which wireless systems suffer from. The cameras themselves are of a high quality – the cases are made with a durable, polished metal and the brown and white colouring means garden or interior installation won’t ruin your décor. The cameras are also weatherproof so don’t worry about installing them externally if you’re prone to inclement weather. Customers make a point of mentioning the system’s robustness, though solidity doesn’t seem to detract from the system’s connectivity. Each camera allows for the standard Ethernet connection as well as 3.5 millimetre cable and BNC. In any event, you’ll likely only make use of the Ethernet ports for the PoE networking solution. It's handy to have alternate connection options if you’re planning to use this in a commercial setting, or in conjunction with other, non-PoE surveillance networks. Those who’ve bought this system will tell you that installation of a surveillance network of this scale involves a fair amount of work but in return you’re getting comprehensive coverage.